There are quite a few pieces of research that show if you repeat something often enough, people start involuntarily to believe it. And that could be leveraged, or weaponised for propaganda. We know there are thousands of automated bots out there that are trying to do just that. 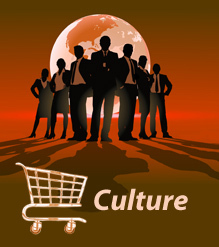 In this way bots can influence the public agenda and the “conversation around a politician”. 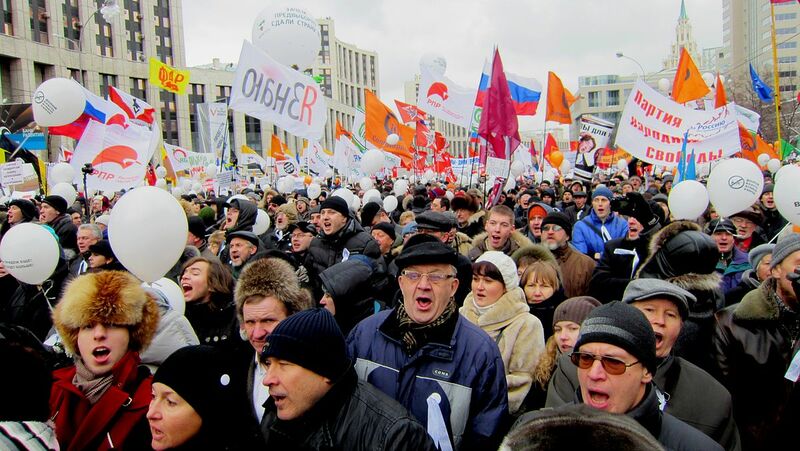 Bots can also sink a twitter feed from a particular hashtag with the weight of their tweets: “Amid anti-government protests in Moscow in 2011, pro-Kremlin activists used Twitter bots to drown out messages from opposition groups. The bots all used the same hashtag, a reference to a rallying place for protest generating up to 10 tweets a second.” It is like having loudspeakers at a public meeting so the opposition cannot be heard. This occurred in 2014 when Mexican activist protests about the way the government was dealing with the abduction of 43 students were trending. 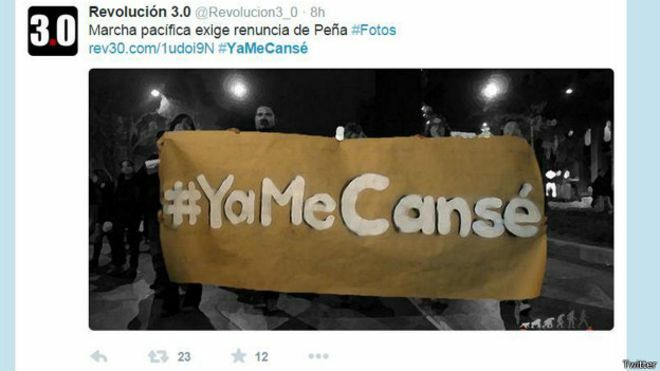 Their hastag #YaMeCanse (I'm tired) was "loaded with gibberish" so that it couldn't be sued anymore. Similarly during the Syrian conflict in 2011, "a Bahrain-based company flooded Twitter with irrelevant or inappropriate posts to make the hashtag #Syria unusable, essentially sending up a smokescreen in the world's eyes". 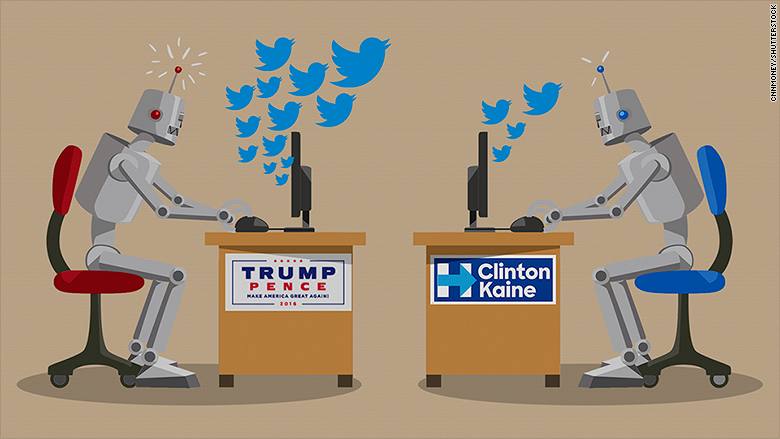 It was estimated that during the 2016 presidential election, “that about 50-55 per cent of Twitter traffic for Clinton is artificial, while Trump's Twitter traffic is an ‘unprecedented’ 80 per cent” and “that bots accounted for one-third of all pro-Trump tweeting during the first presidential debate”. Phil Howard, director of the Unit for Computational Propaganda at the Oxford Internet Institute, says his unit has found hundreds of thousands of ‘sleeper’ bots, twitter accounts that have only tweeted once or twice, but are ready to be triggered by their creators to send out a mass of messages. Reference: Phil Howard, Oxford Internet Institute, in Carole Cadwalladr. ‘Robert Mercer: The Big Data Billionaire Waging War on Mainstream Media.’ The Guardian. 26 February 2017. This is being done by people who understand information structure, who are bulk buying domain names and then using automation to blast out a certain message. To make Trump look like he’s a consensus... That requires organisation and money. And if you use enough of them, of bots and people, and cleverly link them together, you are what’s legitimate. You are creating truth. Reference: Charley-Kai John. ‘How Robots Could Shape Germany's Political Future.' The Local, 21 November 2016. 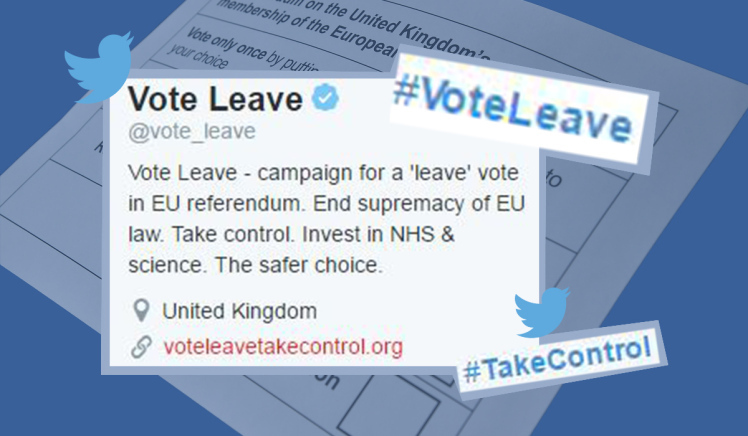 In the lead up to the Brexit vote, “a third of the 1.5 million tweets with referendum related hashtags were generated by only 1 percent of accounts, indicating that large numbers of these were bots”. These bots exaggerate the appearance of popularity of some candidates so as to influence real opinions. In the weekend after the Brexit vote in May, it seemed that millions of people had signed an online petition asking for the vote to be retaken. But it turned out that 42,000 signatures of those signatures purportedly came from Vatican City that only has a population of 800. According to Sam Woolley of Oxford’s computational propaganda unit “one third of all traffic on Twitter before the EU referendum was automated ‘bots’ – accounts that are programmed to look like people, to act like people, and to change the conversation, to make topics trend. And they were all for Leave”. The unit found that “of the almost 314,000 accounts that tweeted about the vote, pro or con, in the week of June 5 to 12, 15 percent were heavily or entirely automated”.